Q. What are the origins of the Selichot (penitential prayers) that are recited in the lead up to Rosh HaShanah and Yom Kippur? A. There were times when the approach of the day of judgment, proclaimed with the shofar each weekday of Ellul and on Rosh HaShanah, sent shivers through Jewish hearts. Fearful lest they might not repent in time or even, God forbid, add further sins to those that had accumulated during the year, some would even observe a “fast of words” and hardly speak during Ellul. Into this pattern the prayers for forgiveness, Selichot, fitted so naturally that had they not existed it would have been necessary to invent them. The word Selichot comes from selichah, “forgiveness”. The Psalmist said, ki im’cha haselichah, “for forgiveness is with Thee” (Psalm 130:4). Prayers for forgiveness were solemnly recited on fast-days in time of drought (Mishnah Ta’anit, chap. 2). Eventually they formed part of the service on all public fast days and days of intercession. They reflected the theology that suffering must have been caused by sin, and therefore repentance, confession and prayer for pardon would surely secure God’s favour and avert the evil decree. The best known Selichot service is associated with the end of Ellul (amongst Sephardim, from Rosh Chodesh) and the beginning of Tishri. It has won its way into Jewish hearts and yet, like a number of the other specially popular occasions in the calendar, does not have a very ancient lineage. Simchat Torah and Tu BiShvat, Yahrzeit and Yizkor and even Bar-Mitzvah are other examples of observances that entered Judaism long after the Biblical period and yet are so well-entrenched that people assume they must surely stem from Sinai. The Ten Days of Penitence were known from the time of the Talmud. The verse from Isaiah 55:6, “Seek ye the Lord while He may be found”, was applied to this time of the year when, said the Rabbis, God is especially accessible. In post-Talmudic times, the days of penitence were marked by changes and interpolations (such as zochrenu) in the liturgy. It also became customary to rise early on these days to supplicate Divine favour, and there was a long debate amongst the Geonim as to whether and when to fast during the ten days, even on Rosh HaShanah and Shabbat Shuvah. Eventually the custom settled that instead of fasting on the two days of Rosh HaShanah and Shabbat Shuvah and Erev Yom Kippur, four days of fasting should precede Rosh HaShanah. Today we have abandoned these fasts but retained the prayers that went with them. Hence we commence Selichot four days before Rosh HaShanah. In practical terms this means that Selichot commence on the Sunday before Rosh HaShanah, but if the festival falls on Monday or Tuesday they commence from the Sunday of the previous week. A further reason suggested for having four days of Selichot is that the Rosh HaShanah liturgy includes the Biblical phrase, “you shall observe a burnt offering”, and like an offering which needs to be scrutinised for defects for four days, so we need four days of self-searching before the day of judgment. The Sephardi custom of commencing Selichot forty days before Yom Kippur (though some communities had the custom of commencing on 15th Ellul and not on Rosh Chodesh) reminds us that at the beginning of Ellul, after the episode of the Golden Calf, Moses ascended Mount Sinai again, after warning the people to behave properly in his absence, and came down on 10 Tishri with the message salachti, “I have forgiven”. The Selichot reverberate with references to b’ashmoret haboker, “the beginning of dawn” and indeed much weight attaches to the custom of dawn or pre-dawn Selichot. It is not only that there were objections to uttering supplications at night. Psychologically there is a more subdued mood just before daybreak than is often seen in the more excited, almost theatre-like feeling of midnight Selichot. This does not mean to say that Selichot at midnight, especially on the first Saturday night, are not permissible, and probably most who come to midnight Selichot would otherwise not attend or recite Selichot at all, but it is not always possible to combine a musical performance with the mood of introspection and penitence. At first the Selichot service consisted of Biblical verses and short invocations of God’s mercy. Later the Thirteen Divine Attributes came to be constantly repeated, since the Talmud attached great importance to enunciating and striving to emulate them. 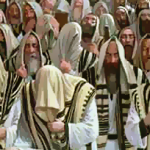 Rabbi Yochanan, in a daring piece of imagery, even declared that God put on a tallit like a cantor and demonstrated to Moses how to recite the attributes, assuring him that if Israel had sinned but recited this passage they would secure forgiveness. With the development of liturgical hymns, Piyyutim, the Selichot were embellished with poetical compositions which were distributed amongst the days when Selichot were said. These fall into four groups, tochachot (admonitions), akedot (reflections on the Binding of Isaac), techinnot (supplications) and bakkashot (petitions). Every day has its pizmon, a composition with a refrain; the name derives from the same Greek root as the word Psalm. Like most Piyyutim, these tend to be intricate interweavings of phrases and ideas from the Bible, Talmud and Midrash. Their literary structure and ideological ambience are, however, of little interest to the average worshipper. What moves most people is not the intellectual as much as the emotional content of the service. And in terms of the feelings aroused by the time of year, the mood of the moment, the melodies and refrains, and even the fact that Selichot probably create more genuine piety than any of our other prayers, it must be said that this is truly one of our most successful liturgical experiences. Visit the OzTorah Ellul and Rosh HaShanah pages for many more insights. This entry is filed under Ask The Rabbi, Ellul, Festivals & Fasts, Rosh HaShanah.